"I don't want to just be theoretically gay. I want to do something about it." It's easy to think of death in terms of being the last--the last breath, the last dance, the last hurrah. But in Beginners, the beautiful 2010 semi-autobiographical drama written and directed by Mike Mills, death is viewed as a first. 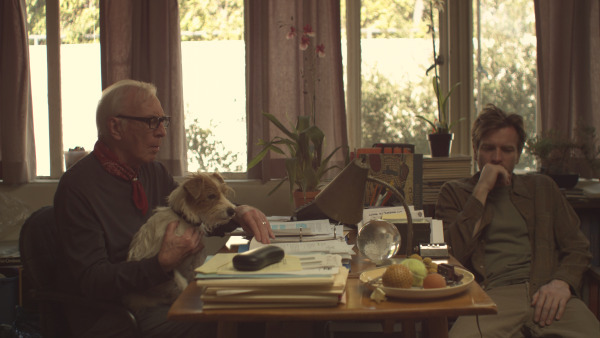 Christopher Plummer stars as Hal, a 75 year-old who comes out as a gay man after his wife of over forty years dies. For the first time in his life, he is living in the most honest, happiest way. His thirty-something-year-old son Oliver (Ewan McGregor) is naturally surprised by the news, but is supportive of his dad as he embarks on this touchstone phase of his life. Watching the relationship between these two very different but very loving characters is one that grabs at the heartstrings. Then Hal is diagnosed with terminal cancer. Although the news is fatal, Hal continues to live his life to the fullest, as Oliver begins to prepare for the worst. But the constant smile on his father's face, the pep in his step, his new-found friends and his hot new (younger) boyfriend Andy (Goran Visnjic) makes it inconceivable to feel pity for him. So, just as Hal is starting a new phase in his life, Oliver begins one as well. He meets and falls for quite possibly one of the quirkiest female characters onscreen, Anna (Mélanie Laurent), a woman of a few words but always the right ones. Together Hal and Oliver welcome a new wave of life when they least expected it. Too often when we are introduced to a character on screen who is already dying at the beginning of the movie, and we're inevitably waiting for that death to happen the entire two hours. But in Beginners, death takes a backseat to a much more uplifting story. It's not the typical depressing movie the subject matter alludes to. Plummer's marvelous performance doesn't allow an audience to feel anything but joy for this senior in the most important time of his life. McGregor's Oliver provides a nostalgic narration to the movie as he relates the landmarks of both his and Hal's lives to equally significant facts in history. From the first year a gay man's group met in a secret meeting, to who the biggest celebrity was on the day Oliver fell for Anna, this movie reminds you to embrace each day as a loving reminder of how far you've come. Although she appears briefly in the movie, Laurent lights is magnetic as the woman in Oliver's life who pushes it forward from its paralyzed state of fear and sadness. McGregor delivers an impressively nuanced performance as we see him progress from a supportive son, to a grieving man, then to a man in love. The chemistry between he and Plummer is so touching that they would make you tear if you weren't impossibly happy for them. Because, at its core, Beginners is about finding happiness, even at the end. Laurent, McGregor, and Plummer especially, are all great and this film feels real and genuine even if it does have certain moments where it seems to over-bearing with its quirky style, but it still works well for this material. Great review Candice. Plummer is definitely a shoe-in for Best Supporting Actor and I am not against that one bit. Great review! I look forward to seeing this, I have it in my Netflix queue.